In this podcast, Speaker of Myanmar's upper house of parliament, HE Khin Aung Myint charts the path of political reform for his country. This podcast forms part of the 2015 Myanmar/Burma Update, 'Making sense of conflict', hosted by the Coral Bell School of Asia Pacific Affairs at The Australian National University. In this podcast, Mary Callahan from the University of Washington delivers the political update of the 2015 Myanmar/ Burma Update. In it she explores politics, elections and the peace process in 2015. In this podcast from the 2015 Myanmar/Burma Update, experts survey the latest economic trends in the country and its impact on ongoing political and social reform. Speakers include Professor Mike Woods form the University of Technology Sydney, Ms Nu Nu Win from the Australian Treasury, and Mr Sam Hurley from ANU. In this podcast from the 2015 Myanmar/Burma update experts examine Myanmar's ongoing ethnic and civil conflicts from a range of perspectives. In this podcast from the 2015 Myanmar/Burma Update, experts appraise the country's ongoing ethnic and civil conflicts. In this podcast, long-time Rohingya politician U Kyaw Min addresses the 2015 Myanmar/Burma Update. 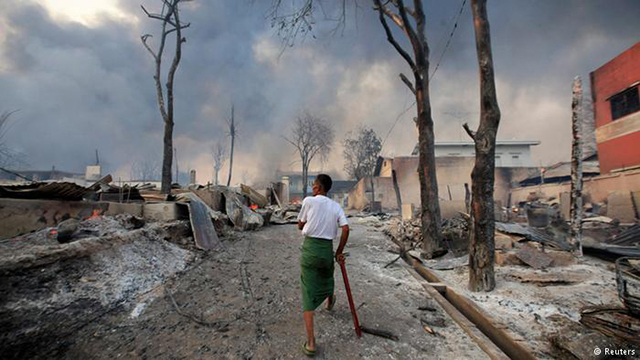 In this podcast, four experts examine different forms of conflict in contemporary Myanmar. Issues covered include ethnic and religious divisions, welfare networks and informal networks, and power and participation in Yangon.